Lautite is a rare mineral belonging to the class of sulfides and sulfosalts with the general formula CuAsS. It is a mineral consisting of a sulfide and arsenide of copper possibly related to arsenopyrite. It is a mixed arsenide and sulfide of copper from Lauta near Marienberg, Saxony. First identified by Friedrich August Frenzel in 1880 in the Rudolphschacht mine near Lauta in Saxony, it was named after its type locality. 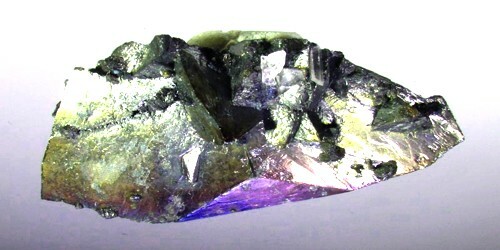 It is orthorhombic and is known to form up to 2.3 cm long prismatic or flat crystals. It is also found as grains or masses. Occurrence: In hydrothermal veins formed at medium temperatures. 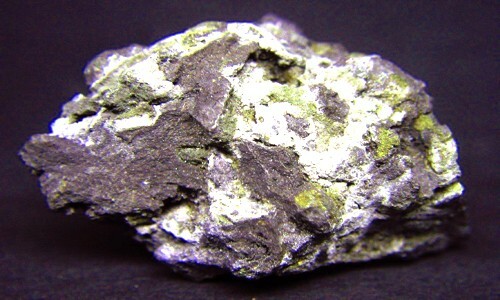 Aside from the type locality, the mineral is found in other places in the Ore Mountains, in Sankt Andreasberg in the Harz mountains, Nieder-Beerbach in the Odenwald, Hausach, Schenkenzell, and Titisee-Neustadt in the Black Forest, Flatschach in Austria, Isérables in Switzerland, Cochrane in Canada, Luqu and Zoigê in China, Sirohi in India, Takab in Iran, Kombat in Namibia and Coconino County in Arizona, US. Association: Arsenic, tennantite, proustite, chalcopyrite, galena, barite (Lauta, Germany); kut´ınaite, paxite (Niederbeerbach, Germany); arsenic, bismuth, tennantite, l¨ollingite, rammelsbergite, proustite, quartz (Gabe Gottes mine, France). Lautite is formed in veins under hydrothermal conditions at medium temperatures. Depending on the locality it is found accompanied by arsenic, tennantite, proustite, chalcopyrite, galenite, and baryte (in the type locality); by kutinaite and paxite (in Nieder-Beerbach); or by arsenic, bismuth, tennantite, loellingite, rammelsbergite, proustite, and quartz (in Sainte-Marie-aux-Mines).